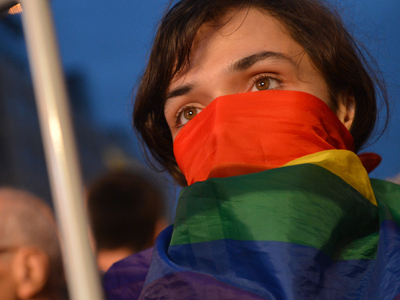 The Russian State Duma has returned the bill on a nationwide gay propaganda ban to the preparatory stage, prompting conspiracy suggestions from some top level MPs. The Lower House had already postponed the hearings from mid-December to the end of January, but as the date neared the lawmakers decided to return the draft law to the State Duma suggesting the nationwide ban on promotion of paedophilia and homosexuality among minors needed further discussion. The news was announced to reporters by the head of the leftist Fair Russia faction, Sergey Mironov, who also said that he was perplexed by this fact. “We are talking about the ban on propaganda. Do you remember how [the head of the parliamentary committee for family policy] Yelena Mizulina said that she had a feeling that someone was deliberately opposing all bills concerning this subject? Now we postponed it again, and it raises questions,” Mironov told reporters. As the parliament readied to consider the ban LGBT activists launched a string of protests all over the country. 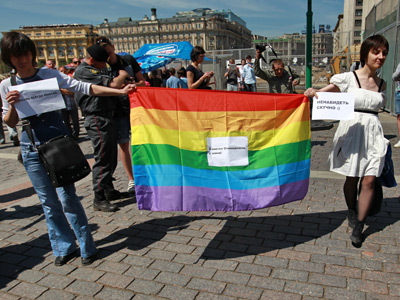 The actions started in December when several gay couples started kissing in public near the State Duma headquarters seeking to demonstrate that they were normal and had the right to express their feeling just as anyone else. Besides, the “Alliance of heterosexuals for equal rights with LGBT” group addressed the Lower House with a request to block the bill before it is put to a vote, saying the document was absurd and meaningless, distracted the public from real problems and also was discriminative towards a certain group of citizens. The protests continued this year, and just as last year, they were opposed by the public. In the South Russian city of Voronezh a group of people hurled snowballs at protesting gay activists. In Moscow several people attacked reporters who arrived to the State Duma HQ in order to cover the announced protest rally. 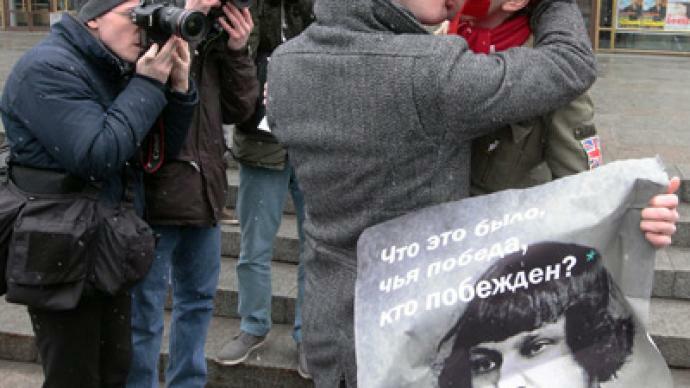 Laws that levy heavy fines for promotion of paedophilia and homosexuality among minors have been introduced in several Russian regions, including the country’s second-largest city of St. Petersburg. 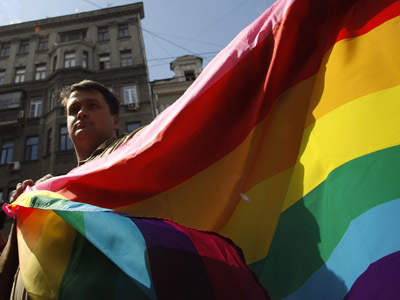 The move has caused an outcry among the LGBT community and Human Rights activists both in Russia and abroad. The city council of Milan has even voted to sever the sister-city ties with St Petersburg, but Milan’s mayor later played down the move as purely declarative. 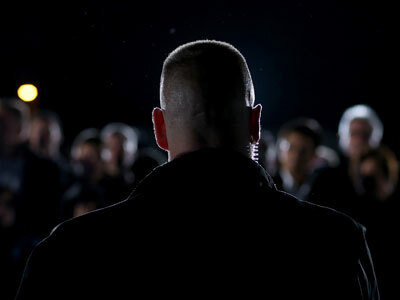 However, an opinion poll conducted last Spring showed that 86 percent of Russians support the ban on gay propaganda even though only 6 percent admitted that they had actually encountered it in their lives.